Matt is a member of Antares’ Capital Markets team. He is responsible for structuring, underwriting, and syndicating Antares’ originated transactions, primarily leveraged buyout-driven debt financings for private equity-backed companies across a diverse set of industries. Matt joined GE Antares in 2014. 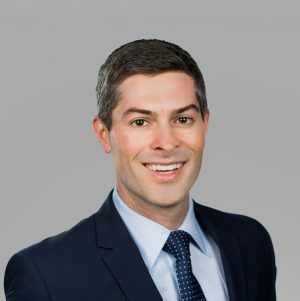 Prior to joining Antares, Matt spent time as an investment banking analyst at BMO Capital Markets and worked in the loan syndications group at Huntington National Bank. Matt earned an MBA from The University of Chicago Booth School of Business with concentrations in economics and managerial and organizational behavior. Additionally, he holds a master of science degree in finance from Illinois Institute of Technology’s Stuart School of Business and a BBA in finance from the Seidman School of Business at Grand Valley State University.